However, it is primarily perceived values that will determine success in the new markets. The tools in the hands of the customer make it easier to perceive and reward values, relevance and authenticity. 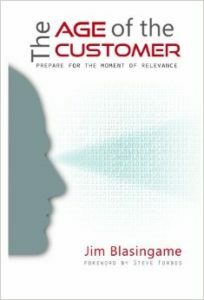 Blasingame notes that “Marketing is what you say; values are what you do – especially when no one is watching.” For the dishonest, the bad news is that more people are now watching. The good news is that the small business owners are uniquely positioned to profit from the new technology by capitalizing on the human values still connected to their personal hands-on management styles. 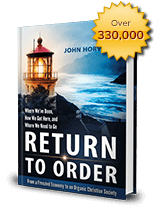 This entry was posted in Featured and tagged business, customer, ethic, integrity, Jim Blasingame, moral, value by John Horvat II. Bookmark the permalink.